Matsuo Bashō's classic Oku no Hosomichi is now available in a new translation by Dennis Kawaharada. 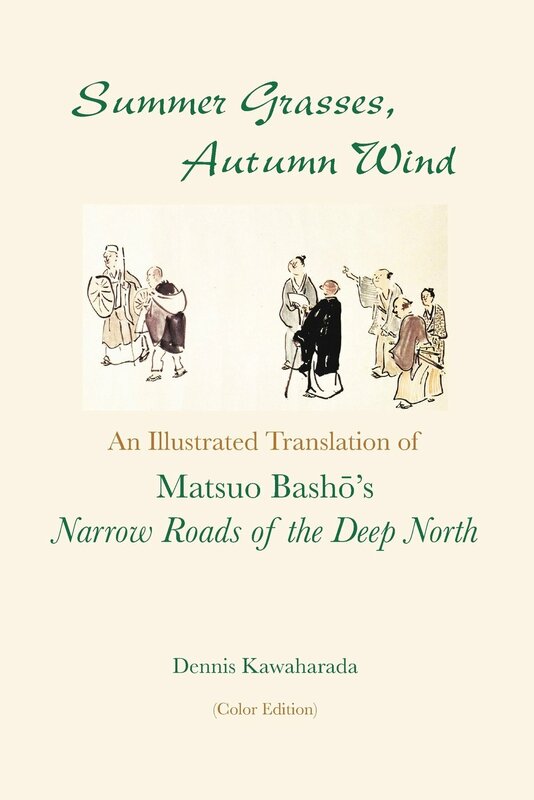 Titled Summer Grasses, Autumn Wind: An Illustrated Translation of Basho's Narrow Roads of the Deep North, the book has been issued in color and black-and-white editions. "[Summer Grasses, Autumn Wind] is illustrated with color photos and Edo Period art and maps. The text includes a short biography and notes on literary, cultural, religious, geographical, and lunar-calendrical contexts, along with 262 notes explaining the details of references to these contexts. The 173 Illustrations include over 100 photographs taken on road trips between 2005–2017 documenting what the places and landscapes mentioned in the text look like today." Peak Services assisted with the proofreading. Our thanks to Dennis Kawaharada for allowing us to work on this book.